Lindsay Menz spoke publicly for the first time on camera to ABC News. 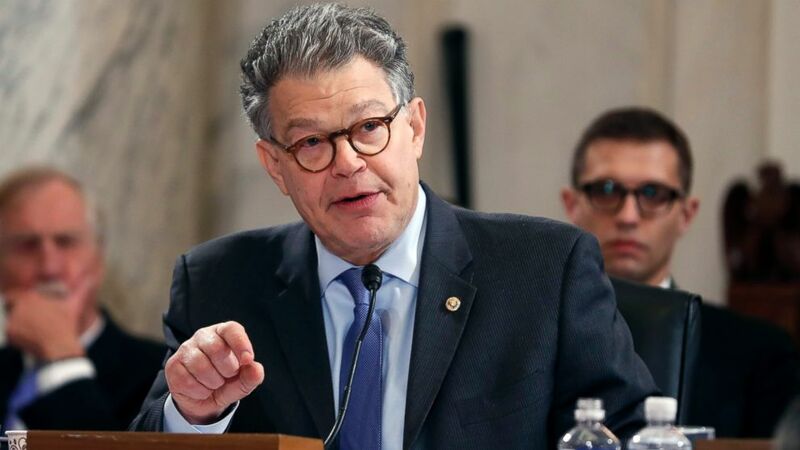 Lindsay Menz, who has accused Sen. Al Franken of groping her at the Minnesota State Fair in 2010, is speaking out about the alleged incident for the first time on camera this morning. Franken released a new statement on Thursday after reports multiple women recalled similar incidents as Menz, saying, “I’ve met tens of thousands of people and taken thousands of photographs, often in crowded and chaotic situations. I’m a warm person; I hug people. I’ve learned from recent stories that in some of those encounters, I crossed a line for some women -- and I know that any number is too many. Menz's claim came just days after Los Angeles radio host Leeann Tweeden accused Franken of forcibly kissing and groping her in 2006.
Who is Al Franken accuser Leeann Tweeden? (Alex Brandon/AP Photo) Sen. Al Franken questions Attorney General-designate, Sen. Jeff Sessions on Capitol Hill in Washington,Jan. 10, 2017, during the committee's confirmation hearing for Sessions. In a Nov. 16 blog post, Tweeden claimed that Franken, then a comedian, “forcibly kissed me without my consent” while rehearsing for a skit on a 2006 USO tour to entertain U.S. troops in Afghanistan. She also posted a photo in which she claims it shows Franken groping her while she was asleep on a military plane. Franken, who was elected as a Democratic senator for Minnesota in 2008, responded to the accusations in a statement obtained by ABC News. “I certainly don’t remember the rehearsal for the skit in the same way, but I send my sincerest apologies to Leeann. As to the photo, it was clearly intended to be funny but wasn't. I shouldn't have done it,” he said. Menz told ABC News she wanted to speak publicly about her own alleged experience with Franken so that people believe Tweeden's story and she doesn't feel alone. A spokesperson for Franken told ABC News on Monday night that the senator doesn't plan to resign in light of the second accuser coming forward. The Senate Ethics Committee will investigate the allegations against Franken. ABC News' Meghan Keneally, Benjamin Siegel and Veronica Stracqualursi contributed to this report.